It may not be a huge trip from Queenstown to Wellington but it is absolutely packed full of awesome things to do. Starting off in the adventure capital of the world, get your thrills and spills in before heading up the east coast of the South Island where you can explore the regeneration in Christchurch following the earthquakes, swim with dolphins in Kaikoura, sample some delicious wine in the Marlborough region before catching the Interislander across to the North Island. 4 days are going to fly by! So, you’ve arrived in the adventure capital of the world with only 4 days to get yourself up to Wellington in the North Island. 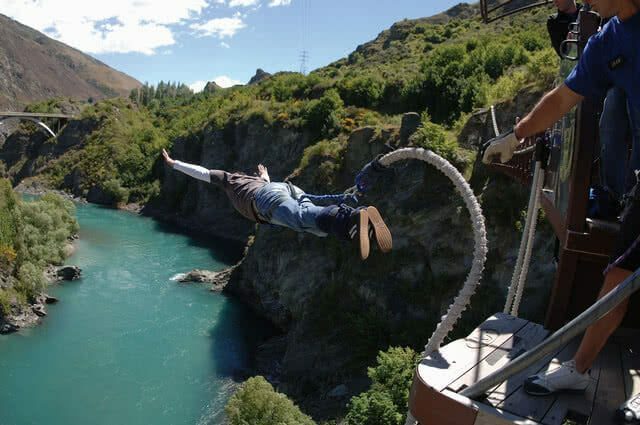 Arriving in Queenstown with only 1 day to explore can be quite daunting as there’s so much to do whether you’re an adrenaline junkie or you’re looking for a relaxing first day but fear not – we have pulled together our top three things to do for adventure and relaxation (we know, you can thank us when you drop the car off!) Anyway, enough of this – let’s GO! is sure to get your pulse racing. The 360 degree spins will get you closer to the wall than you feel comfortable with! Skippers Canyon Jet is also a GO Play partner. Bonus! 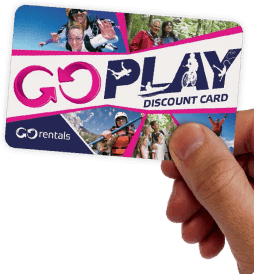 3) Coronet Peak ski resort (in season) – fantastic resort for pros and beginners alike, Coronet Peak is a GO Rentals favourite in the winter where lots of fun can be had on and off the slopes. 1) Ben Lommond – a 4 hour walk giving you some awesome views of Queenstown, the lake and surrounding mountains. Queenstown is a place where you can easily get lost for a week or two. If you have more time or you want more inspiration, check out our Queenstown guide. Lake Tekapo is also famous for its unique turquoise colour, as well as its beautiful starry nights – a perfect spot for you romantics out there as Lake Tekapo has been the scene of many a wooing! If you can park here for the night, you’ll not regret it. 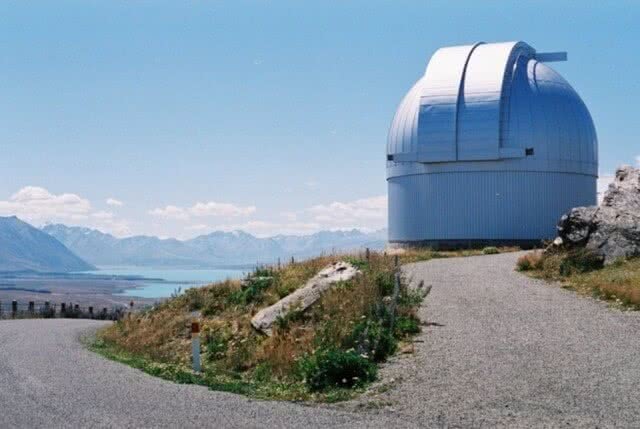 Mt John, just above the Tekapo township, is considered one of the most accessible observatories in the world, home to 6 telescopes, including New Zealand’s biggest telescope, which can observe 50 million stars each clear night (yes, you read that right). Located 75km south of Christchurch and known by locals as the ‘Riviera of Canterbury’, Akaroa is a great stop off as you head down towards Queenstown and beyond. This village is located on Banks Peninsula within a harbour of the same name and is considered “the most French town” in New Zealand, as it was the only French settlement in the country. Spend some time exploring the small town and then head to the harbour for the best fish and chips meal of your life (at least that’s Akaroa’s claim so you be the judge and let us know). If you didn’t have the chance to head up to Kaikoura, GO Play partner Black Cat Cruises offer an amazing opportunity to swim with the rare Hector’s dolphins which are only found in these waters. With a 10% discount, you’d be a fool not to! Heading into Christchurch, a stop off at Lyttelton is well worth the detour and it’s a great place to grab some dinner if you’re arriving late. Hit by the earthquakes, Lyttelton has now rebuilt and is a thriving village with lots of bars and cafes – leaving Lyttelton and heading to Christchurch, there’s a great road which offers you some fantastic views looking down to the city and the harbour as well as down to the Southern Alps – a great way to end this road trip. It’s a short 12.4km into Christchurch CBD from here which will take you around 20 mins. Day 3 of your road trip starts in largest city on the South Island – the Garden City. Spend the morning exploring this beautiful city – some of the GO Rentals team highlights are below. There is a big day of driving ahead of you to make the ferry across to the North Island so make sure you leave plenty of time as there is plenty to see and do on the way. There is a late ferry that leaves at 10.30pm so you can really make the most of your day. Don’t forget to book your ferry in advance – something we can help with if you like. A great first stop off on the way is Kaikoura which is a whale watchers delight. Not only that, this is a great opportunity for you to take a dip and swim with the dolphins at the right time of the year – this must be on a few wish lists so let’s get it ticked off! Marlborough is a world famous wine region and it would be rude not to sample some of the local delights on your way through (hopefully it may be a more sociable time of the day!). There are plenty of wineries who will gladly take you through their wide range of vinos from a fruity pinot noir to the flagship wine of the region, Sauvignon Blanc. There are some famous vineyards down here like Cloudy Bay but we recommend sampling some of the more boutique wineries – a great way to get around is on a bike although be careful if you have a few vinos on the way as you may get a bit wobbly! Wine tour by bike offer bike hire or guided tours which helps as they will transport you back to Blenheim. From Blenheim, it is a short 28kms to the ferry terminal at Picton which should take you around half an hour. It might be small but New Zealand’s cool capital is jam-packed with things to do and places to see. This is a great place to end your 4 day adventure so take the time to explore before you have to drop off your GO Rentals car.